The Ports to Plains Alliance has secured nearly $2 billion in funding on projects throughout the corridor. That is a pretty good return on the investment that our members make in the coalition. The staff and board of directors work hard to achieve this success, but the grassroots support is the key to our accomplishments. This newsletter includes two opportunities for you to continue your support. 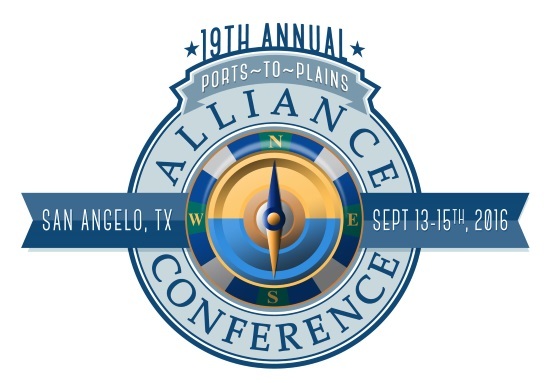 First you can register to attend our Annual Conference September 13 – 15 in San Angelo, Texas. Learn about the issues affecting our region, network with fellow members and become a strong advocate for Ports to Plains in your community. Secondly you can comment on the designation of the National Multimodal Freight Network to the U.S. Department of Transportation before their September 6 deadline. We pushed hard for programs targeting freight and rural corridors to be included in the federal transportation reauthorization bill. Since such programs were included, now is the time to compete hard to earn a share of the funding. Perched on the banks of the Concho River, the Bill Aylor Sr. Memorial RiverStage is San Angelo’s best live music venue. The likes of Willie Nelson and B.B. King have played the RiverStage, which hosts some 40,000 people each July 3 for San Angelo’s annual Independence Day celebration. Fiddle Fire Catering offers dinner and a show! The chow is prepared off a 1906 Peter Schuttler chuck wagon that has been preserved to its historic origins. After dinner, its trail boss, Dorothy Douthit, serves up heaping helpings of lively cowboy music on her fiddle, often accompanied by her pardners. The past morphs into the future Tuesday evening. The Concho Cowboy Co. will delight with fast action, high drama and a glimpse into the wild, wild West. These re-enactors, garbed in period dress, specialize in the portrayal of historical and fictional characters, including Marshal Cactus Jack, Madam Sunshine and Will Killem. Also on hand will be Fort Concho’s Buffalo Soldiers, who recreate Company A of the 10th Cavalry, which served with distinction at San Angelo’s fort as one of two all-black regiments in the late 19th century. Their Native American foes gave them their name, equating the soldiers’ hair with that of the mane of their sacred buffalo. Fort Concho’s historical re-enactors will also fire the site’s three-inch ordinance rifle, a replica of the weapon assigned to the fort from 1875-89. It’s best you cover your ears when you hear, “Ready … aim …” The evening will conclude with a spectacular and futuristic laser light show. Adjacent to the RiverStage sits the San Angelo Museum of Fine Arts. This cultural jewel is home to one of the most exquisite collections of contemporary ceramics in the world, along with Texas art, Spanish colonial pieces and American glass. Current exhibits include works by renowned sculptor Roger Colombik and Angelo State University faculty members. Admission to the museum is free with a conference badge. 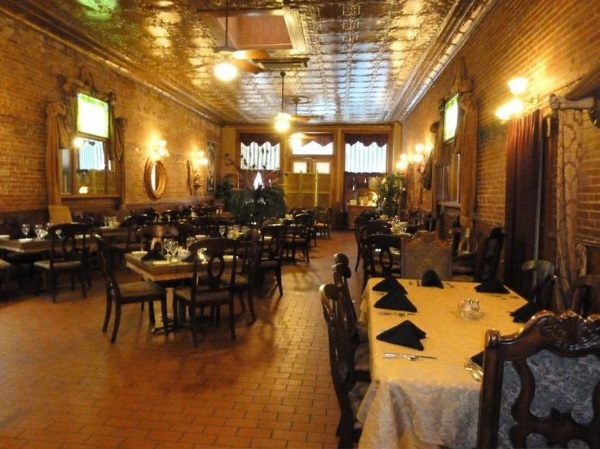 During Miss Hattie’s heyday, the building that now houses a popular downtown restaurant and its Cathouse Lounge was a bank. It was also the covert entrance to the famed madam’s brothel a couple doors down. Waiters will gladly grab a dinner knife and tap the floor, proving the existence of underground rooms that allowed clients discreet passage to the women for whom the entrées are named. The Casino Night will be headed by San Angelo’s Bridget Carr, a former pit boss at Vegas’ Rio hotel. Tours of historic downtown San Angelo (which today pulses with nightlife) will be led by a costumed guide on one of the city’s trolley buses. For the outdoorsmen among us, a fishing tournament along the Concho River Thursday evening will offer the chance to wet a hook. All of the equipment will be provided. The Concho is frequently stocked with catfish and trout by the Texas Parks and Wildlife Department. The Ports-to-Plains Alliance Corridors include Ports-to-Plains, Heartland Expressway and Theodore Roosevelt Expressway, all congressionally designated High Priority Corridors on the National Highway System. Currently over 55% of the entire Alliance Corridor are four-lane or better and other significant improvements of Super-2 profiles have improved capacity and safety on additional corridors. 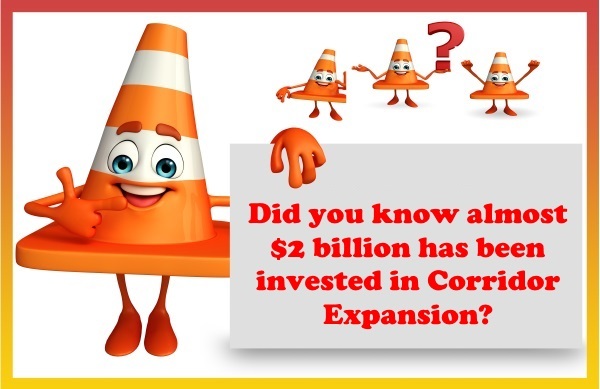 Over the years, the major sources of funding have changed as have the efforts of the Alliance to urge funding for the construction of highway expansion projects through the nine states. Initially, advocacy efforts focused on federal earmarks which designated funds for specific projects through transportation reauthorization and appropriations legislation. Significant portions of the Heartland Expressway, especially in South Dakota were completed using earmarked federal funds. Texas, Oklahoma, Colorado, Nebraska and North Dakota also saw highway expansion using federal earmarks. After 2005, this source of funding became politically unacceptable. More recently the Alliance has been involved in advocacy for addition transportation revenues which could be used for corridor expansion. Currently, the FAST Act brought federal funds back to the table for Critical Rural Freight Corridors designated as a part of the National Highway Freight Network. Portions of the corridor designated by states are eligible for freight funding provided to each state by formula and for discretionary funding through the FASTLANE program. The Alliance is urging State DOTs to designate and certify portions of the Alliance Corridor in each state as Critical Rural Freight Corridors. Advocacy for funding is a ongoing effort that has garnered $1,967,372,680 in funding since the Ports-to-Plains Corridor was designated by Congress. The opportunity to include Alliance Corridors across our nine states has a short window. 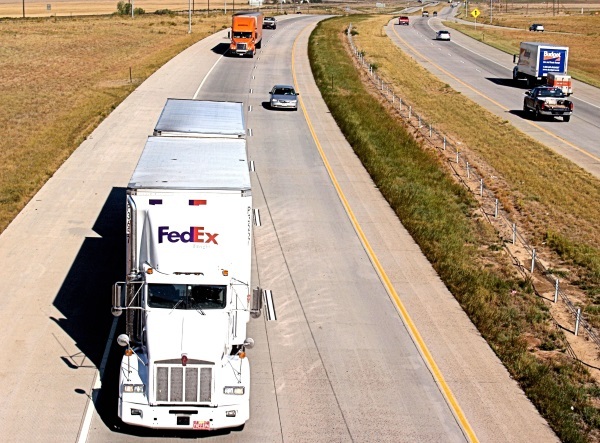 USDOT has opened a comment period for states and others about what corridors and facilities should be included in the National Multimodal Freight Network (NMFN). These comments are important because the NMFN will drive future federal and state investments in freight infrastructure. Across the nine states, we have a corridor that meets the eligibility, as well as the goals and factors that the FAST Act required for inclusion in the NMFN under a category called Critical Rural Freight Facilities and Corridors. As a result the Alliance is working at several levels to be sure that all or a major portion of the entire Alliance Corridor is included in the NMFN. Urges USDOT to consider inclusion of the congressionally designated High Priority Corridors on the National Highway System in the NMFN. Urges USDOT to consider inclusion of Alliance Corridors as Critical Rural Freight Facilities and Corridors in the NMFN. Consider inclusion of the congressionally designated High Priority Corridors on the National Highway System in the Final National Multimodal Freight Network. 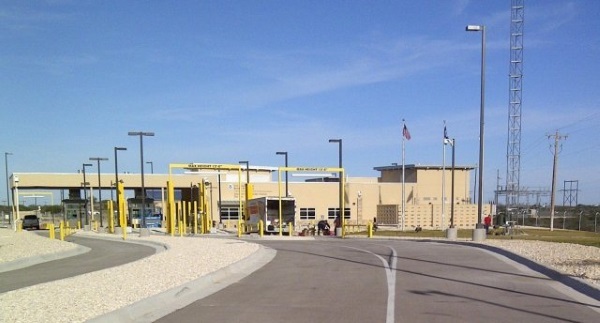 Consider inclusion of State Highway 71 from Limon to the Nebraska border, a portion of the multi-state Heartland Expressway corridor, as a Critical Rural Freight Facility and Corridor (CRFFC). Consider inclusion U.S. Highway 287 from the Oklahoma border to Limon, a portion of the multistate Ports-to-Plains corridor as a CRFFC. As an Alliance we can make a difference! This is part of the effort to increase our communication to citizens and members. Be watching for the new portstoplains.com website before the Annual Conference in mid-September.